Taylor Gabriel appears headed for a change of scenery this spring. 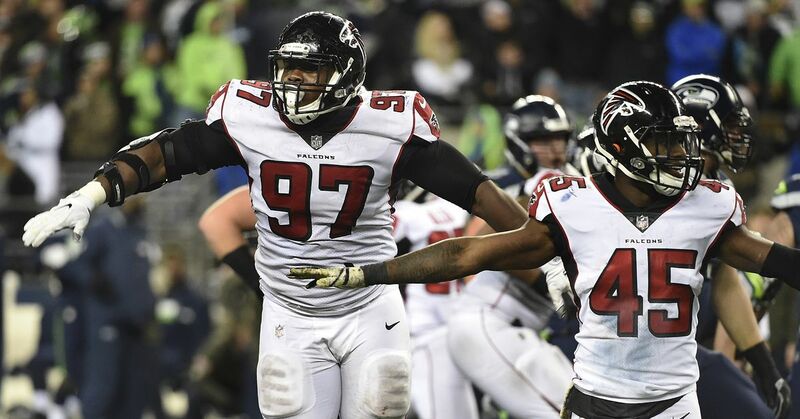 Gabriel, 27, spent the first two years of his career with the Cleveland Browns, but it wasn't until he landed with the Falcons in 2016 that he emerged as a household name. In 13 appearances, the speedster posted 35 receptions for 579 yards and six touchdowns—all of which came over the season's final eight games. Gabriel's production waned in 2017 after former offensive coordinator Kyle Shanahan accepted a job as the San Francisco 49ers' head coach. As a result, he mustered 33 catches for 378 yards and one score. "I'm not sure what happened," Gabriel said of the down year, per ESPN.com's Vaughn McClure. "Just the offense, in general, we were just trying to get those explosive plays in. I'm not surprised that people were trying to take those deep balls away and take me out the game, as well. It's a lot of different things." At 5'8'' and 165 pounds, it's unlikely Gabriel will ever emerge as a top-flight receiver. But with excellent vertical speed and the ability to burn defenders out of the slot or along the boundary, he should garner interest from teams in need of versatile additions to their passing games. Will Falcons Trade Up for Ed Oliver on Draft Day? Poll: Who Was the Falcons’ Best 5th Rounder Ever?